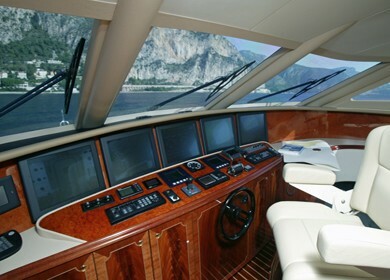 Luxury Motor Yacht LA REVE was launched in 2006 by the Italian shipyard Lazzarra. 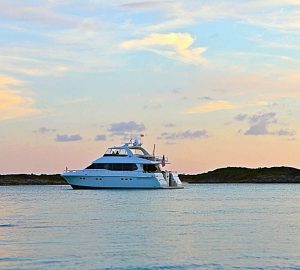 She is now available for luxury cruises for up to 8 guests in the Bahamas. 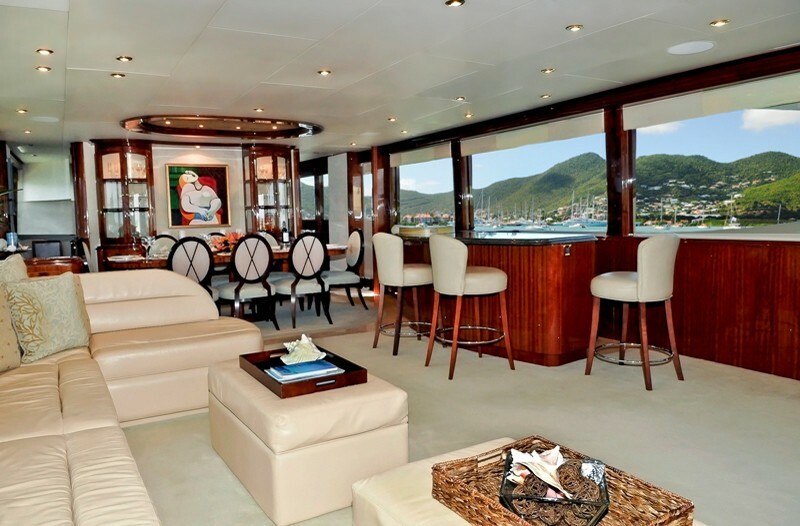 Motor Yacht LA REVE offers sensational cruising with a design which embodies perfect harmony between sleek and modern styling and traditional and elegant comfort. 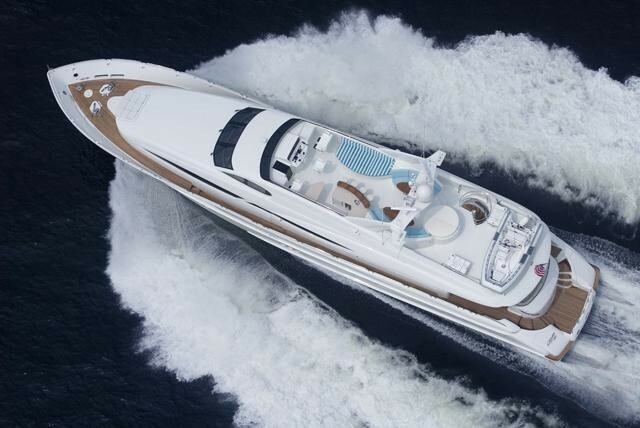 LA REVE is a perfect blend offering intelligent and spacious design, light and airy interior and superior performance with a cruising speed of 19 knots. 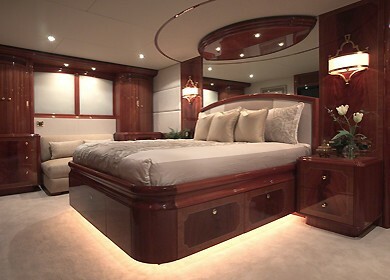 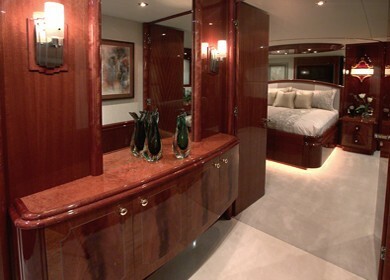 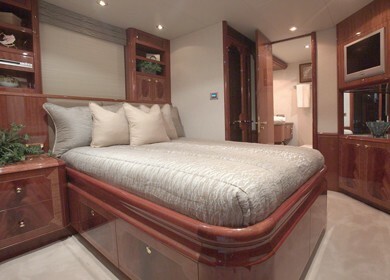 Guests will be exceptionally comfortable inside LA REVE, especially in her main salon framed by wide panoramic windows. 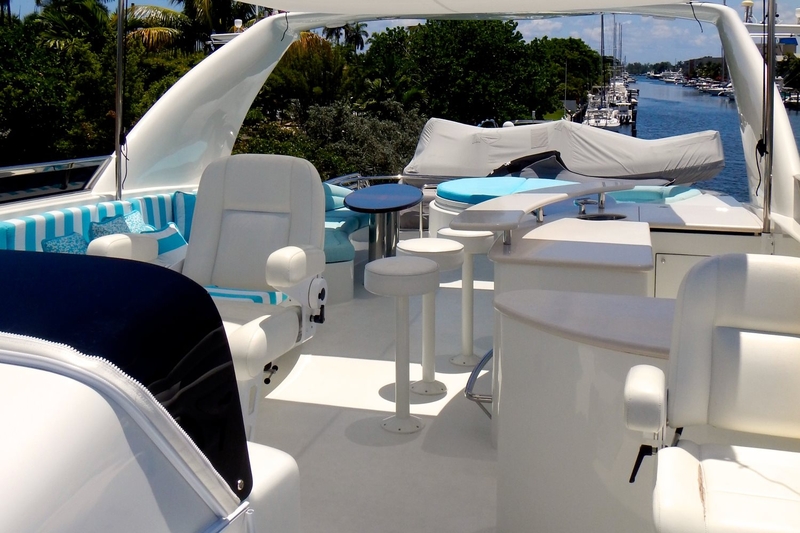 Her salon features an Italian leather sofa, a full bar with stools and a complete entertainment system, all finished stylishly in cool chic colours. 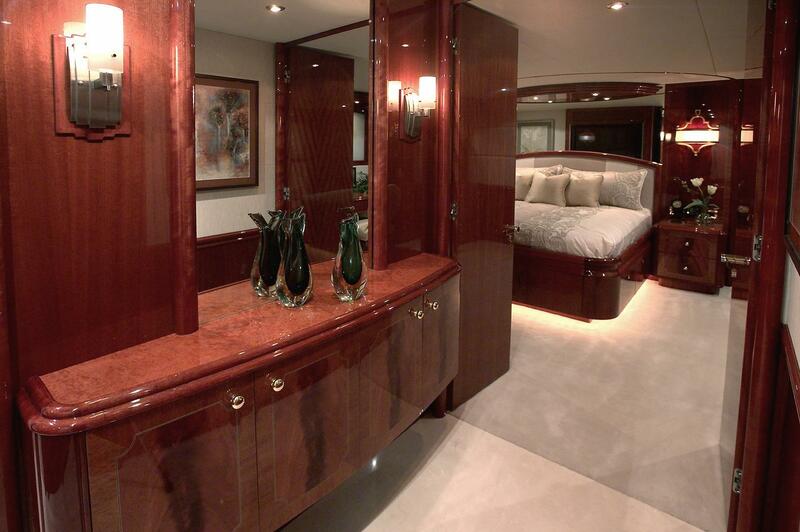 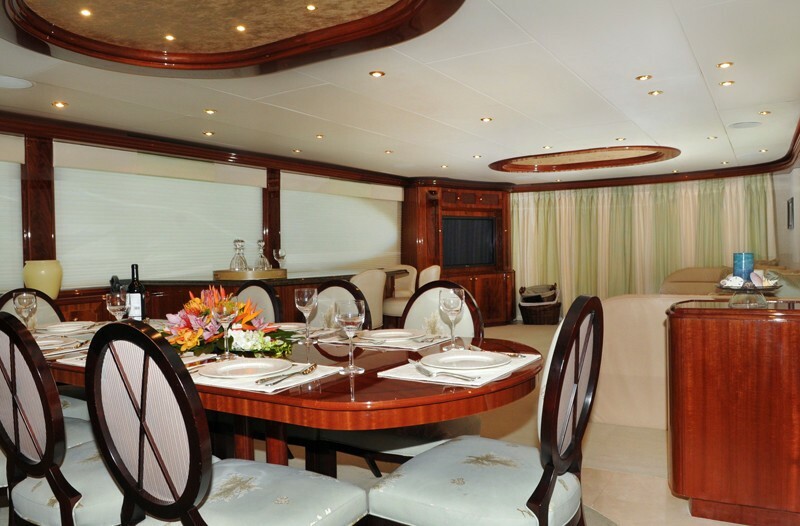 The guest accommodation on the lower decks maintains the same simple and elegant theme. 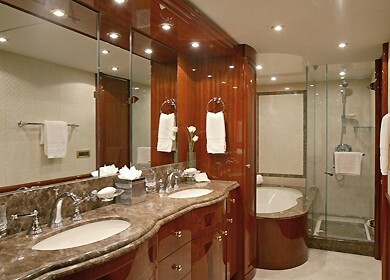 The master stateroom is blessed with six panoramic windows, a king size bed and a marble ensuite bathroom with a Spa Pool. 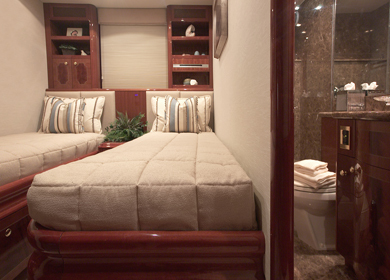 The other cabins are also well equipped and beautifully furnished with private ensuite bathrooms and entertainment facilities. 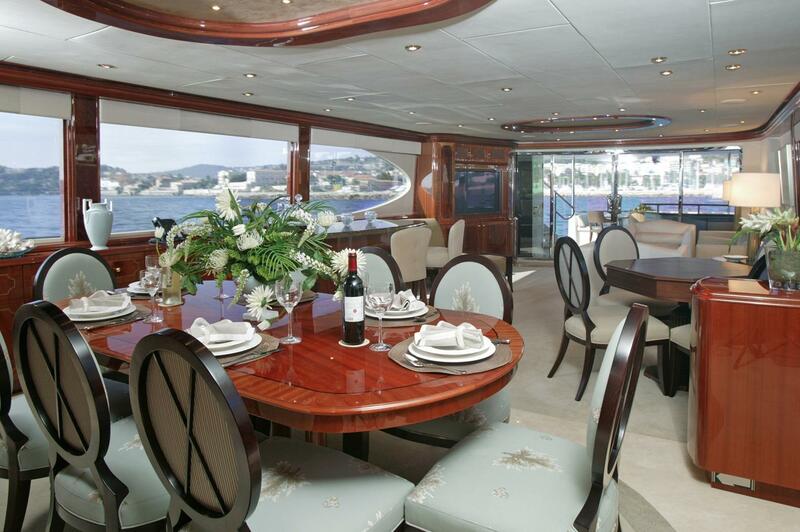 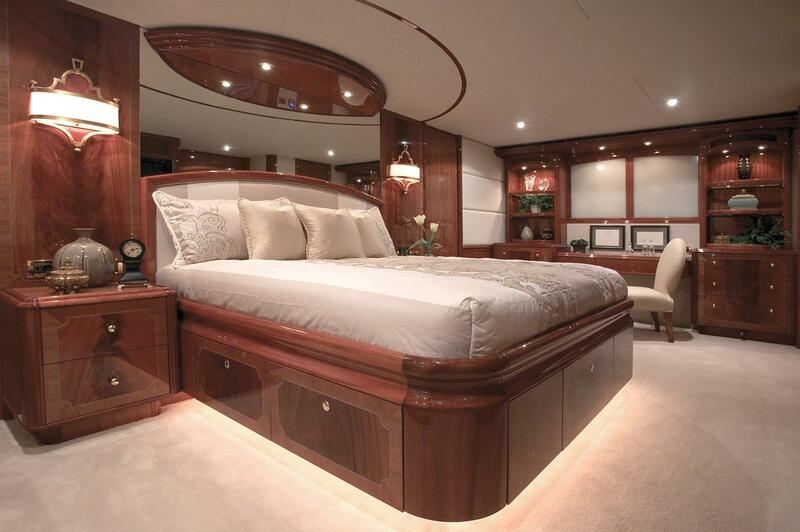 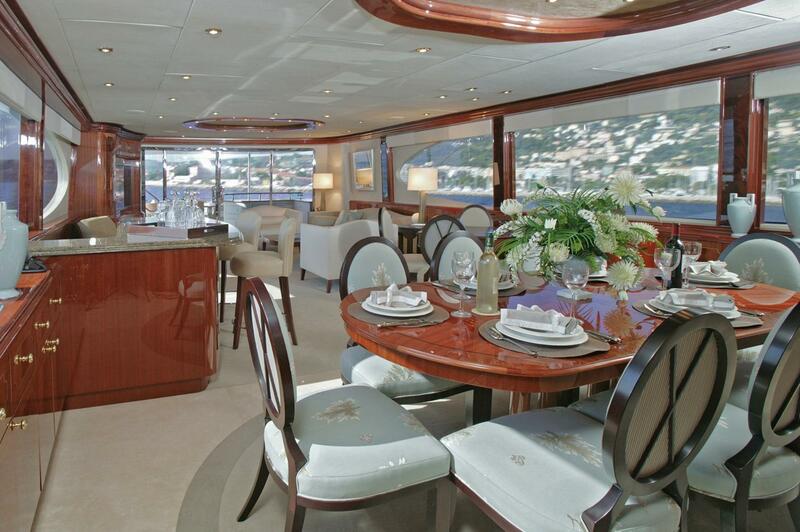 On deck, Motor Yacht LA REVE offers more than adequate space for relaxation and entertainment. 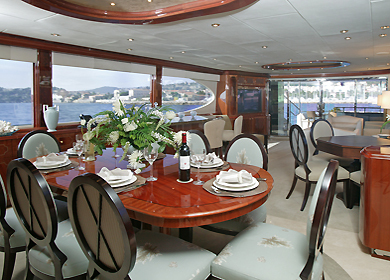 The main aft deck includes a full bar with drop-down satellite TV, pedestal bar stools and an alfresco dining table for eight guests. 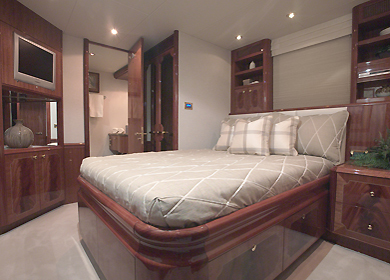 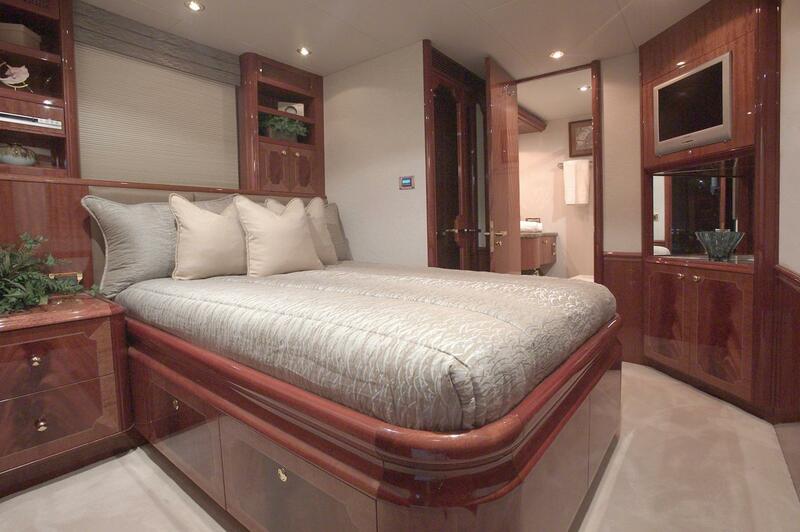 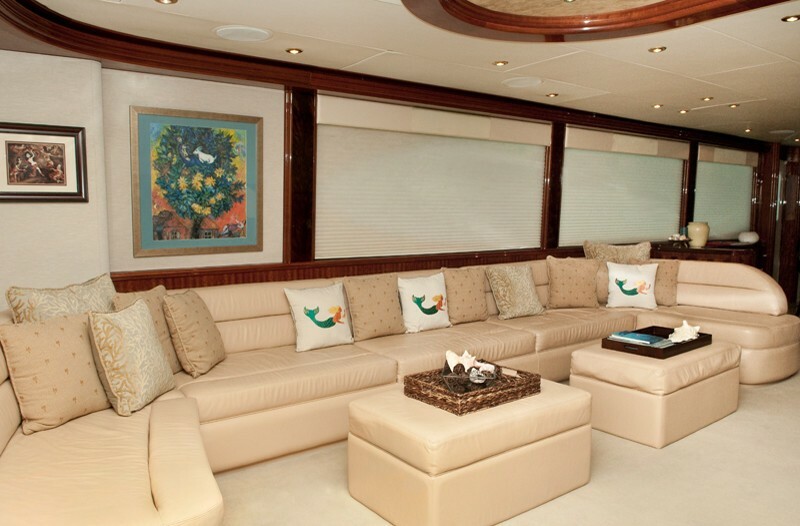 The flybridge is a wonderful area which includes the control station with helm chairs; a spa pool tub with vast sunbathing mattresses, a bar with stools, a BBQ grill and a separate music system. 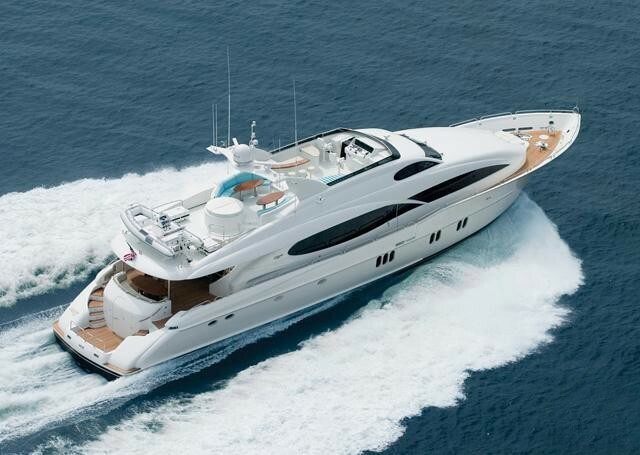 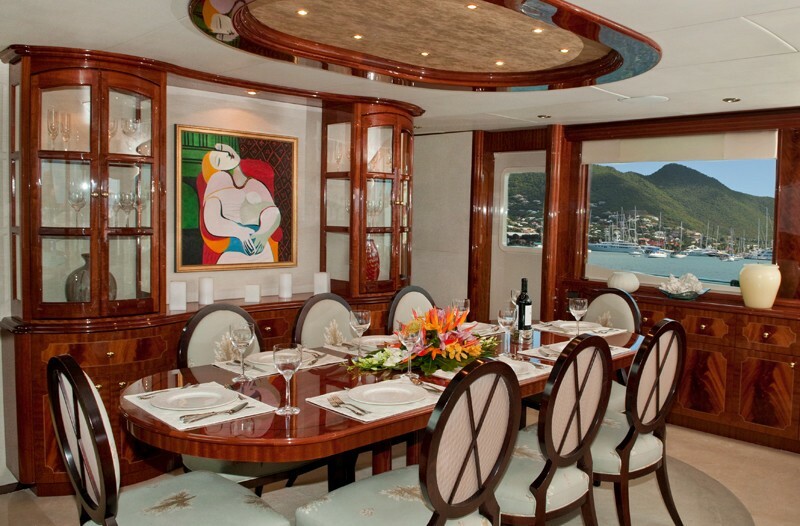 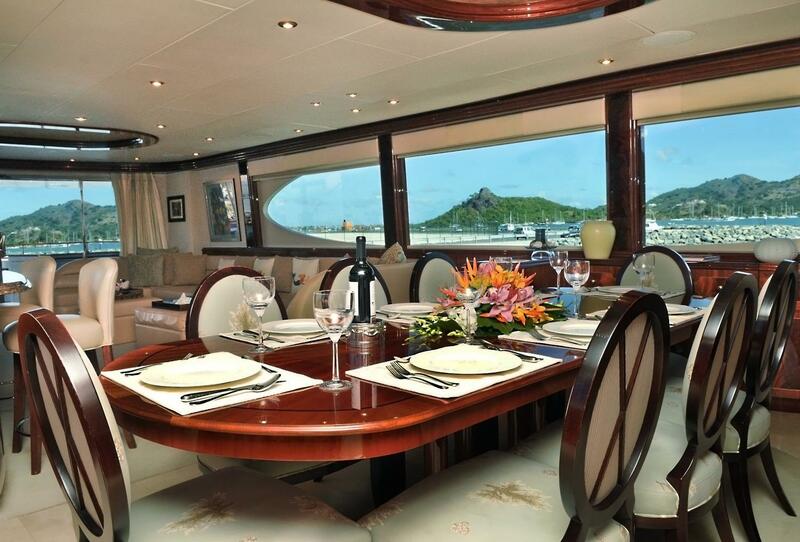 Luxury Motor Yacht LE REVE includes accommodation for 8 guests in four luxurious staterooms. 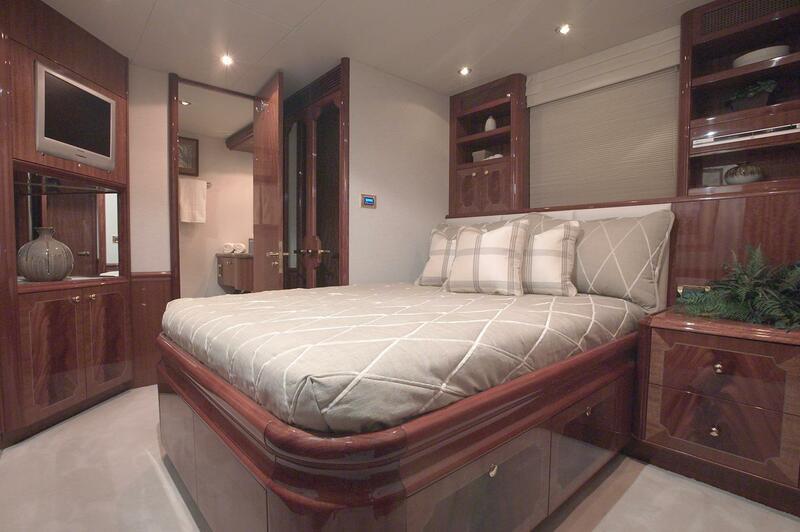 Master Stateroom is on the main deck and includes a king sized bed, a spacious ensuite bathroom with a Spa Pool tub and shower and full entertainment facilities. 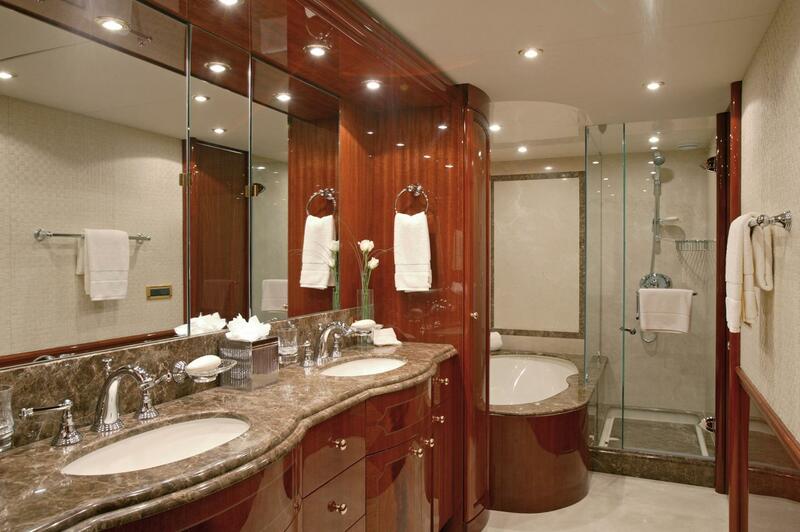 The further guest staterooms consist of two queens and one twin, each also finished with an ensuite bathroom and entertainment facilities. 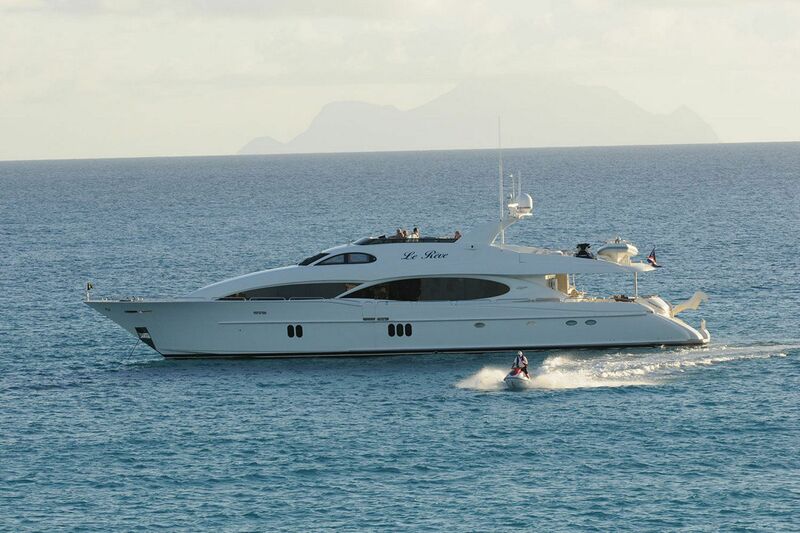 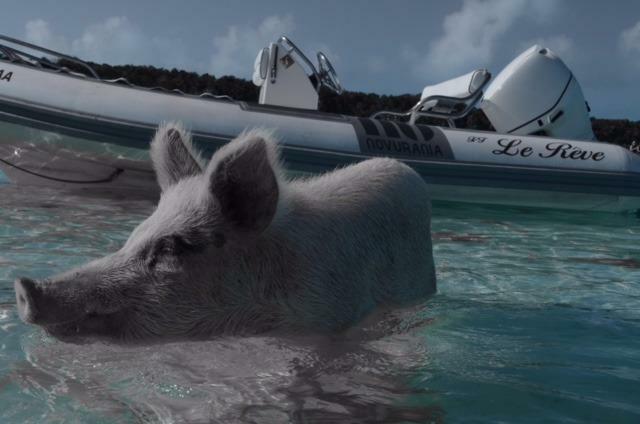 Motor Yacht LE REVE includes a full variety of tenders & toys including: A 16 ft tender with 90hp outboard, 2 x 3-man waverunners, tubes, towable toys, snorkel gear and fishing gear. 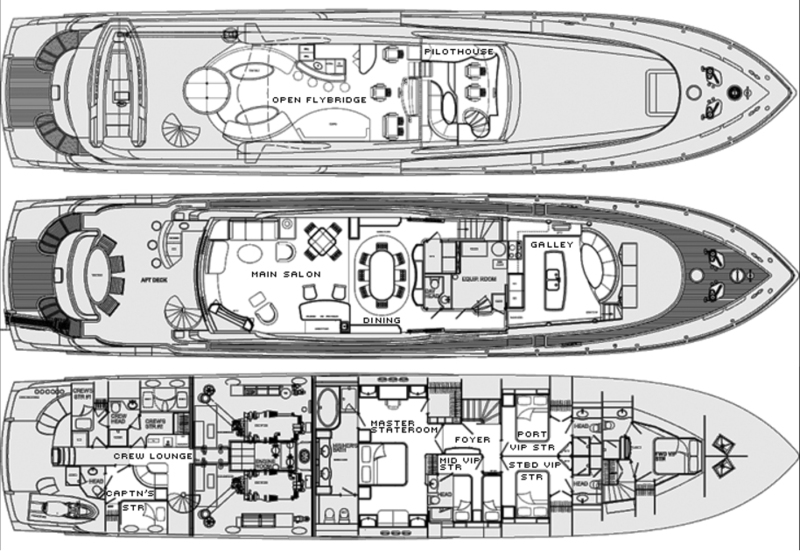 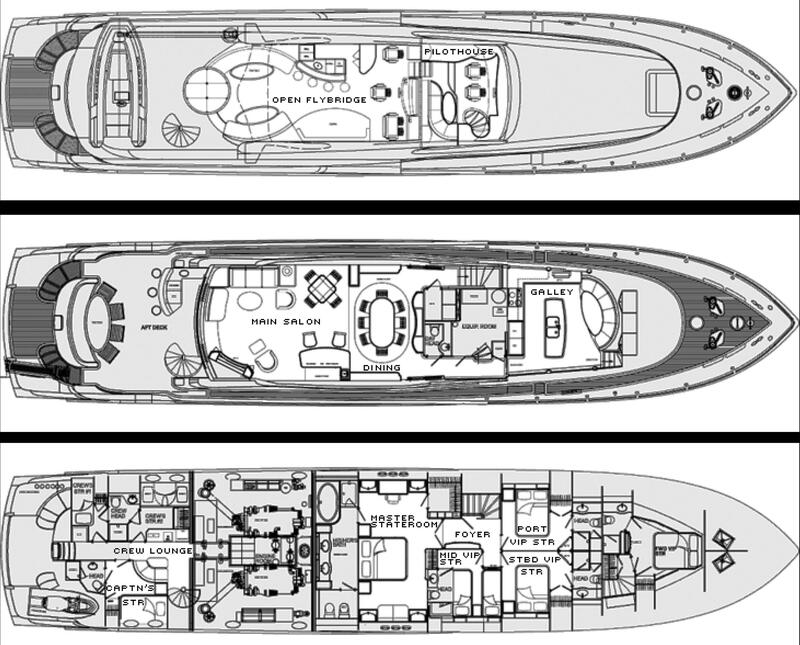 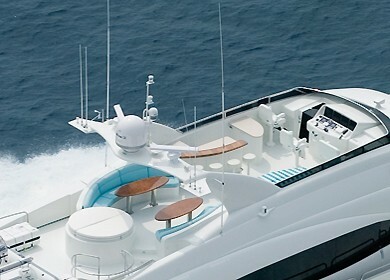 Communications onboard include satellite phone, fax and internet access. 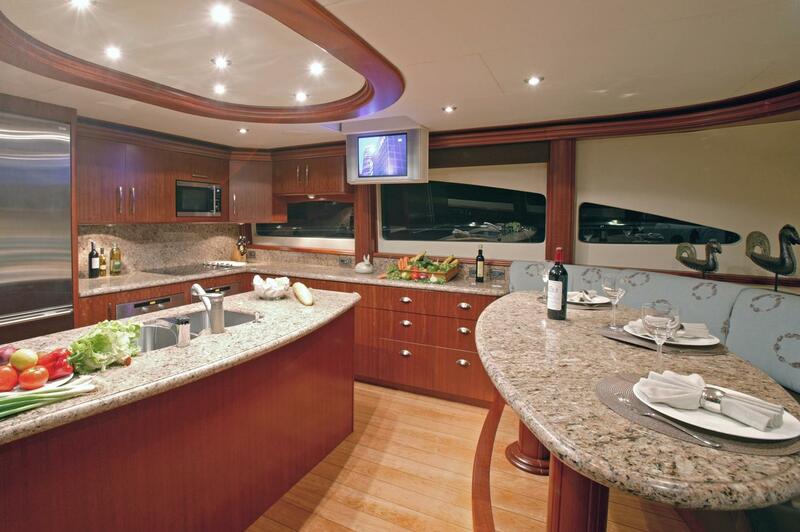 Audio Visual Equipment includes a Custom entertainment center with 50” Plasma TV with satellite, surround sound, iPod docking station, and DVD/CD/VCR in the main salon. 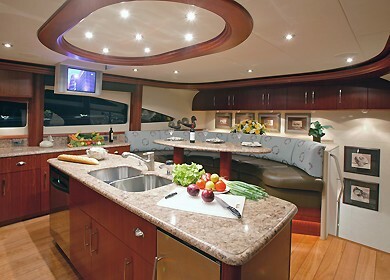 The aft deck is also equipped with a satellite TV. 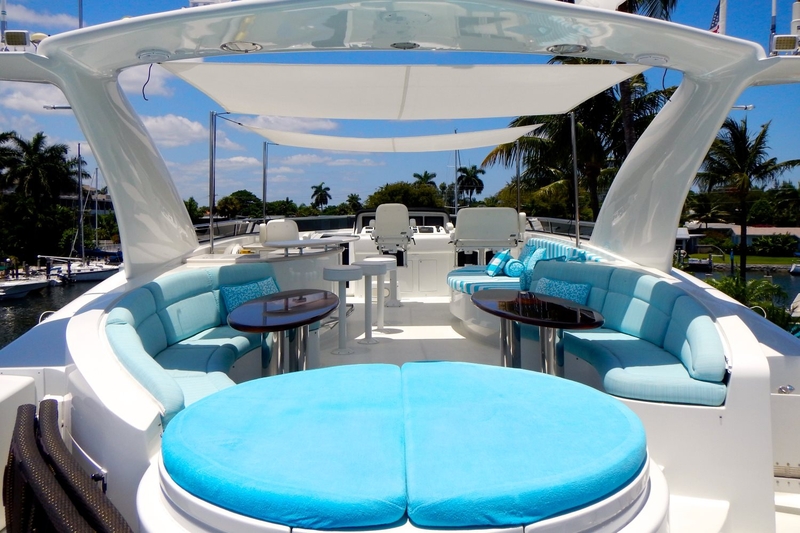 The sundeck is equipped with a 3-zone sound system with separate volume control and 6-stereo speakers. 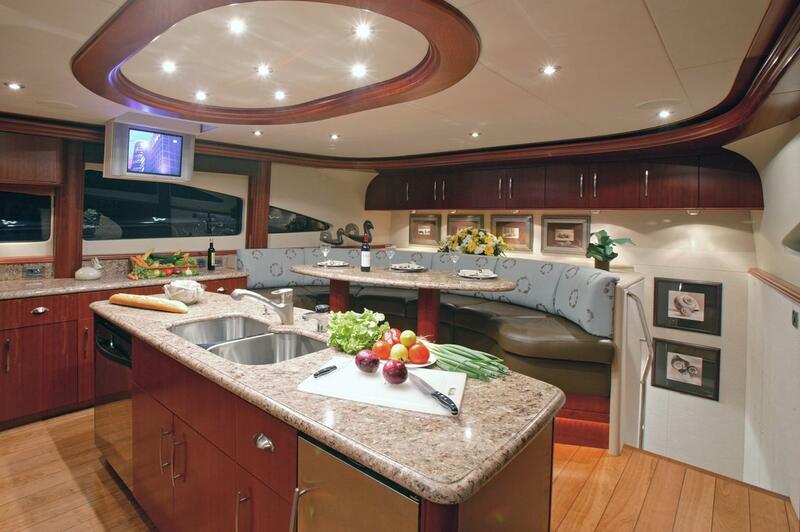 There are Direct TV satellite service and DVD/CD capabilities throughout boat and 2 iPod docking stations in the main salon to control interior and exterior sound.